The Christian leader further noted that the attacking rebels had destroyed crosses and vandalized church buildings in the local area. There have also been instances of “forced enrollment,” whereby students at Christian schools are recruited into the armed rebel force. “The UWSA has also forcibly recruited 41 male and female students who were taking Bible studies classes in various churches, and 52 churches in the Mongpauk area have been shut down, and three have been destroyed,” Rev. Lazaru, a spokesman for the region’s ethnic Lahu Baptist community, told Radio Free Asia. The Wa Special Region 2 is an autonomous region in northern Shan state, and is currently controlled by the rebel forces. The region the UWSA attacked is under its governance and control. Thus, many believe the attacks were the result of residents’ failure to receive permission from rebel leaders for the building of church facilities. Asia News reported that three separate Baptist churches had been destroyed by the rebels, with 52 other congregations shut down and 92 pastors arrested. Another Christian leader from the area believes that the Chinese authorities are bolstering persecution efforts against religious communities in Myanmar. Catholics have also faced persecution, with rebels forcing out several nuns and a priest from the region. “Local children and people are very disappointed by the expulsions of the priest, nuns and teachers,” one priest told ucanews.com. Fr. Mariano Soe Naing, the spokesperson of the Catholic Bishops’ Conference of Myanmar (CBCM) and head of the latter’s Office for Social Communication (CBCM-OCS), told Asia News that on Sunday, Sept. 16, a group of officials the detained five young Catholics from various parts of the country. 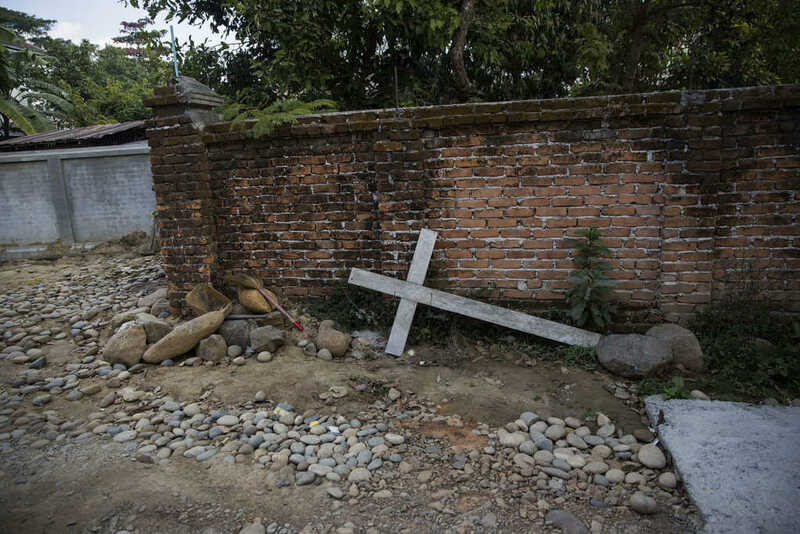 Over the past several months, the media has become increasingly aware of the massacre of Christian in the northern regions of Myanmar, particularly within the Kachin state. “It is an invisible war,” said San Htoi, the joint secretary of Kachin Women’s Association Thailand, earlier this year. She highlighted that the recent United Nations security council visit only included Rakhine state, where the Rohingya community has been all but destroyed by systemic violence. “They left the country without knowing [about Kachin],” she noted. Last August, around 700,000 Rohingya began fleeing across the Myanmar border into Bangladesh after suffering brutal violence and persecution from Myanmar’s state forces. Thousands are still holed up in enormous refugee camps at the border. Last month, a judge found Wa Lone, 32, and Kyaw Soe Oo, 28, guilty of breaching the law on state secrets and ordered them to spend seven years behind bars. According to Reuters, the two journalists were investigating the killing of 10 Rohingya Muslim villagers by the Myanmar security forces when they were detained in December 2017. Please pray for all those who continue to experience such fierce persecution at the hands of these rebels.